Let the Great Global Warming Cover-Up Begin! Now that some enterprising and possibly conscience-stricken soul has served up the emails and other data of the Climate Research Unit (CRU) of the University of East Anglia, revealing the deliberate efforts to hide the corrupted research that justifies the “global warming” fraud, all the various journalists and alleged climate scientists who have been a party to it are trying desperately to cover up or minimize the scandal. Others like the U.S. “Climate Czar” Carol Browner have announced their faith in the disputed data, but Browner, who served as EPA Director in the Clinton administration has never shown any interest in honest science and is not likely to have left a paper trail in her present position. No word yet from Obama’s loony “Science Czar”, John Holdren. 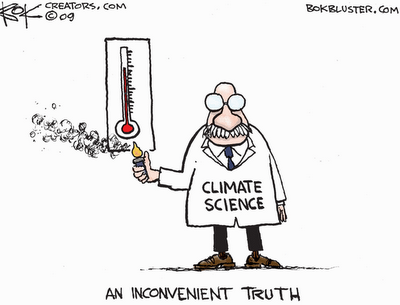 The truth is, those closely allied with the United Nations’ Intergovernmental Panel on Climate Change (IPCC) have been suppressing the real science, substituting their own corrupted data, and trying to avoid the process of “peer review” by which other scientists, the real ones, can test the data for accuracy and validity. Thousands of real scientists have signed petitions over the years demanding that global warming claims be submitted to rigorous examination. The Heartland Institute, a non-profit, free market think tank, spent—-for them-—an enormous amount of money to put on international conferences that brought together top scientists who demonstrated how utterly false the IPCC, CRU and other data was, but the mainstream media simply mocked their effort. Initially, the culprits at the CRU claimed that their computers had been “hacked”, but many others believe that the data and emails had already been culled by CRU insides for the purpose of removing it from any impending investigation. In England, its Freedom of Information Act, similar to that in the U.S., had been used to demand the data supporting the global warming theory which, at one point, Phil Jones, the CRU director, claimed had been “lost.” Reportedly, Jones has attracted more than $22 million in grants to the CRU for climate research! His colleague, Michael Mann of Pennsylvania State University, became famous for concocting a “hockey stick” graph that depicted a sudden rise in the Earth’s temperature that was later revealed to have been falsified, but these concoctions have been used for decades by the IPCC to claim that global warming is real and on-going. You can be sure, however, that the global warming journalists whose careers have been based on furthering the fraud will continue to emphasize the “hacking” theory to suggest this “stolen” data lacks merit and those using it, the so-called “skeptics” and “deniers” are still not to be trusted. In the U.S. Sen. James Inhofe (R-OK) who has been the lone voice in the Senate debunking “global warming” has called for an investigation. Chris Horner of the Competitive Enterprise Institute, a free-market think tank, has already filed three Notices of Intent to File Suit against NASA and its Goddard Institute for Space Studies that, for three years, has refused to provide documents requested under the Freedom of Information Act. In the United States, James E. Hansen, the head of NASA’s Goddard Institute, got the “global warming” hysteria going in the 1980s when he testified before Congress that his research revealed an incipient catastrophe if the U.S. did not significantly reduce carbon dioxide (CO2) emissions that he said were causing “global warming.” The result was that NASA has averaged more than $1 billion each year since 1995 for climate research. Estimates of the amount of money the U.S. has spent on all manner of “research” and related programs peg the figure at $50 billion or more. That’s a lot of money for something that was NOT happening and in 1998 the Earth entered a natural cooling cycle; one in which we’re likely be for two decades more or longer. All of this is exacerbated by the fact that the President of the United States will briefly attend the forthcoming December UN Conference of the Parties on Climate Change being held in Copenhagen. He has made it clear that he believes the false data put forth by the IPCC and wants the U.S. to sign a treaty that would yield U.S. sovereignty to the United Nations. President Obama has repeatedly said the United States has to reduce its CO2 emissions, the mantra of the global warming liars. It would destroy what’s left of our battered, debt-ridden economy. So a major cover-up will be the objective of the U.S. news media that has pushed “global warming” for years with one scare story after another aimed at energy producers and users. The battle now is to force the mainstream media to tell the truth about “global warming” and to find out just how many billions of taxpayers dollars have been squandered on junk climate science and policies detrimental to the nation. As for President Obama, he should just pick up his Nobel Peace Prize in Oslo, Norway, give another florid speech, get on Air Force One, and come home. Caruba blogs daily at http://factsnotfantasy.blogspot.com. He is an author, business and science writer, and founder of The National Anxiety Center, a clearinghouse for information about “scare campaigns” intended to influence public opinion and policy.